Last spring, after being dumped by his second NFL team (the New York Jets this time, the Denver Broncos previously), Tim Tebow sat unclaimed on the unrestricted free-agent heap. No one wanted him. Then in June, Bill Belichick and the New England Patriots took a flyer on the former Heisman winner from Florida. This was about the best possible scenario for Tebow. There was no pressure on him to be the starter – Tom Brady has that job. Or even second string – the fairly capable Ryan Mallett is the No. 2. Tebow's sole challenge was to do enough – either by showing versatility or promise in development – to convince Belichick to keep him as the third quarterback. He was competing with no one, really. Hype and outside influences no longer mattered. This opportunity was a blank canvas with one of the great football minds of all time. Tebow just had to show something to buy himself time to develop his game under the protection of football's most stable and winning environment. 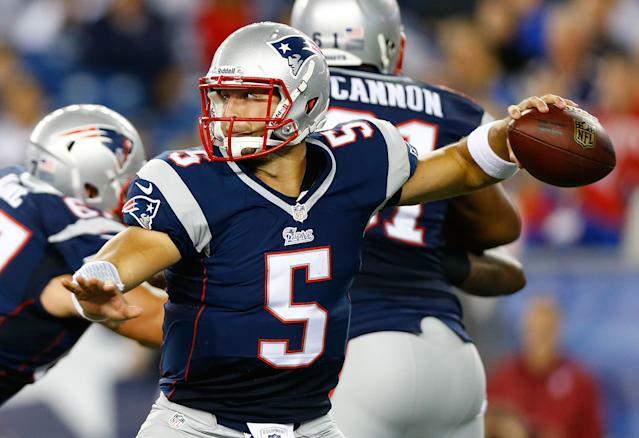 The Patriots released the 25-year-old Tebow on Saturday, deciding to carry just two QBs on their final 53-man roster. 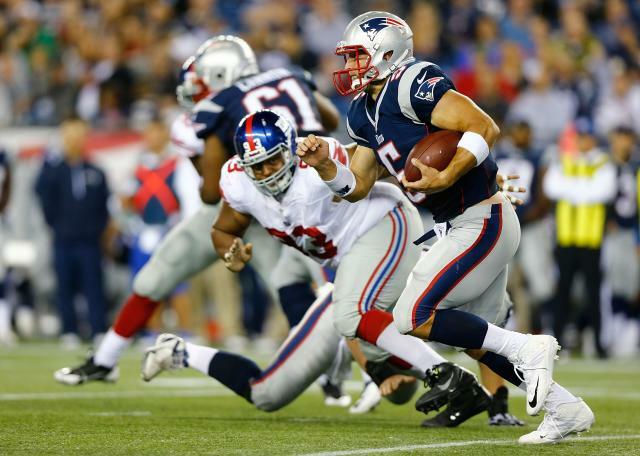 What the decision says is that Tebow didn't show enough of a reason for the Patriots to bother with him. They'd rather have a backup at some other position. For Tebow, this is a major setback and one without an obvious solution. This might be it for him in the NFL – a startling turn of events considering it was January 2012 when, after being installed the starter as the Broncos turned their season around and charged into the playoffs, he connected on an 80-yard touchdown pass for an overtime victory over Pittsburgh. At that moment he was perhaps the most popular – or at least most famous – player in all of football. While there were still plenty of doubts about his ability, the idea he wouldn't throw a single touchdown in the 2012 season and be out of football by 2013 was unfathomable. What's next for Tebow is anyone's guess. Again, no one wanted him in the spring. Did he put enough on tape during New England's preseason to convince a team that there is potential? He finished the preseason 11 for 30 for 145 yards, two touchdowns, two picks and a dreadful seven sacks. Belichick apparently didn't see much better in practice and the Pats essentially gave up on using Tebow, an excellent athlete, in any non-quarterback role such as running back or tight end. Now, granted there are NFL teams with more dire quarterback situations than New England. The Oakland Raiders are a mess and maybe they take a chance. 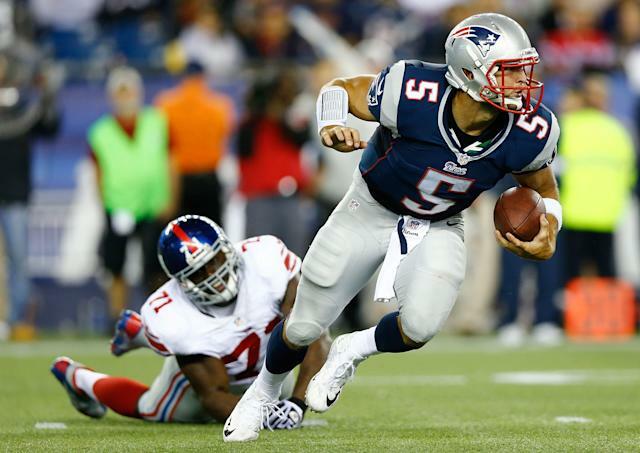 Buffalo isn't much better and it plays New England in Week 1, so Tebow could add some strategic value. Even so, those may be long shots. Tebow isn't helped by the hoopla that surrounds him – notably his throng of fans who love him from his college days, general positive demeanor and strong expressions of his evangelical faith. That can, in some circumstances, make him a distraction even if it isn't Tebow himself causing the problem. If he isn't scooped up this coming week, he can certainly wait out the inevitable wave of injuries and hope that teams in need of depth call him in the weeks to come. Maybe that works. He could also have a future in the Canadian Football League, where a more wide-open style of play might be a good fit for his run/pass combo style. 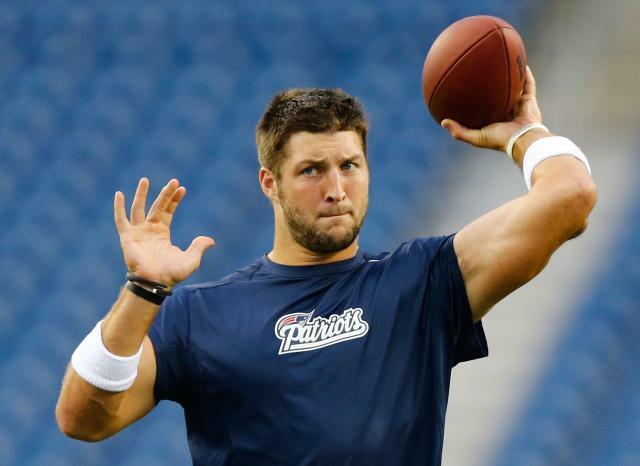 Tebow has no plans to give up on football immediately, a source close to him said. And he shouldn't. His future after football is undoubtedly bright. He'll be a coveted and well-compensated speaker, and there is a potential career in ministry, politics, coaching and who knows what. However, his dedication to maximizing his athletic career is unquestioned. Football has been almost his sole focus. There hasn't been a Plan B these last couple years. And there is still plenty of time for the other stuff. The end is coming though, perhaps sooner than anyone could have imagined. Tebow couldn't seize his most recent golden opportunity. Saturday wasn't a good day for Tim Tebow. Bill Belichick, perhaps his best option as a coach, cut him. And it's possible the rest of the NFL agrees with the decision.